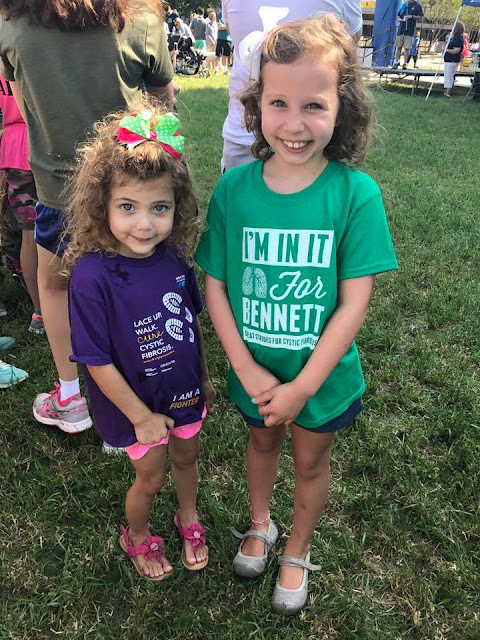 I wanted to publicly acknowledge all of those who donated to the Cystic Fibrosis Foundation this year to help us find a cure for Bennett and to thank those who walked at Great Strides Walks in Waco, Dallas, Columbia, Mo, and Raleigh, NC last month. This was our 7th year to Walk. Together, we raised $4700 in honor of Bennett! Thank you to Bennett's best friend Philip's family who donated and took care of ordering Bennett's Brigade tshirts this year as we were a bit underwater due to Bennett's recent surgeries. This was a huge gift to us! 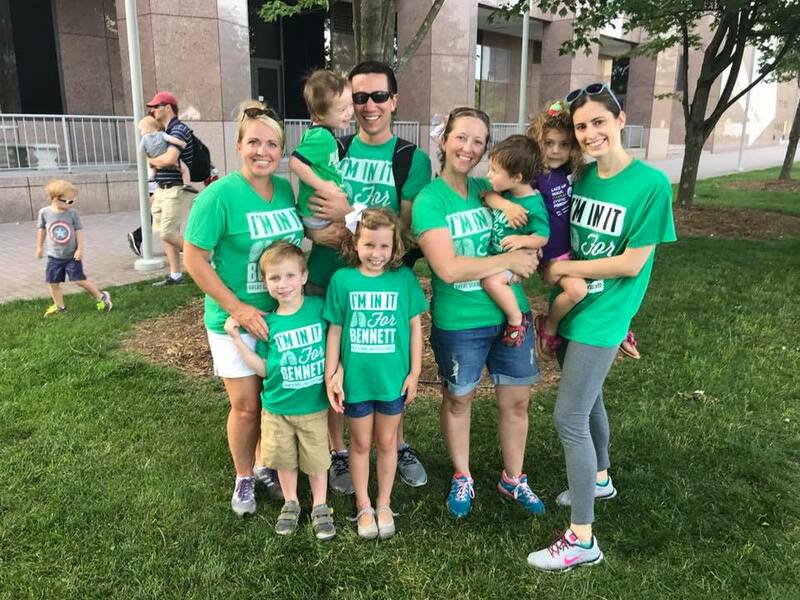 This is our Raleigh, NC crew! Love them! This is our St. Louis crew! Thank you to my sweet sorority sister Kelly for leading this Walk even as she was in her third trimester! Love to you Amy and Natalie (and company) for coming out to support Bennett! 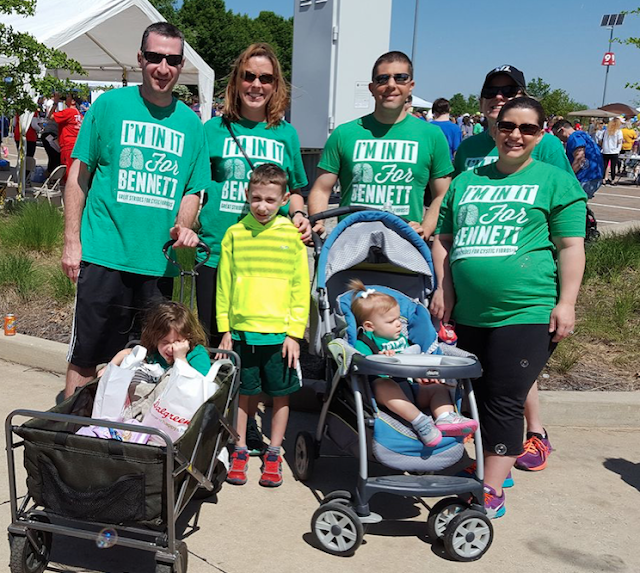 It is with deepest appreciation I share these pictures of people who physically came out to show Bennett he is loved. 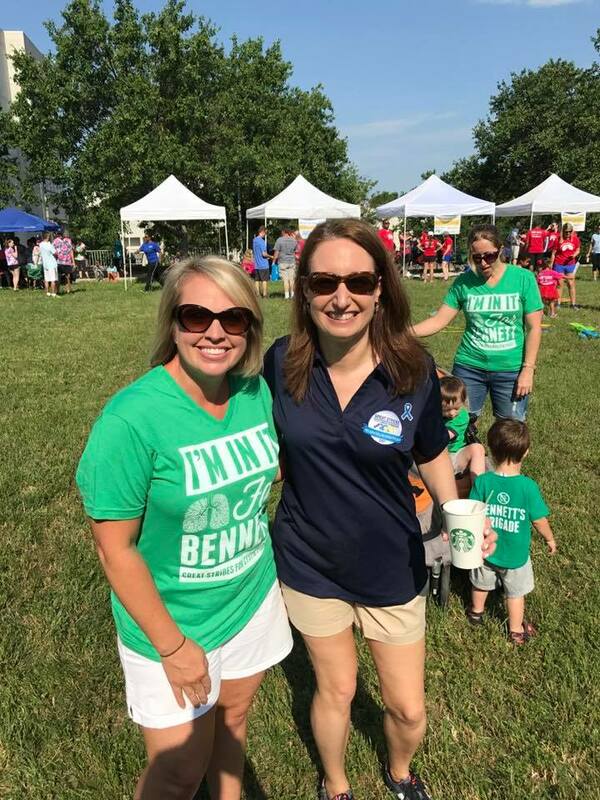 But I want to also recognize the many other people who gave financially this year or who supported us through Bennett's recent hospitalizations through meals, gifts for the children, gift cards, etc. 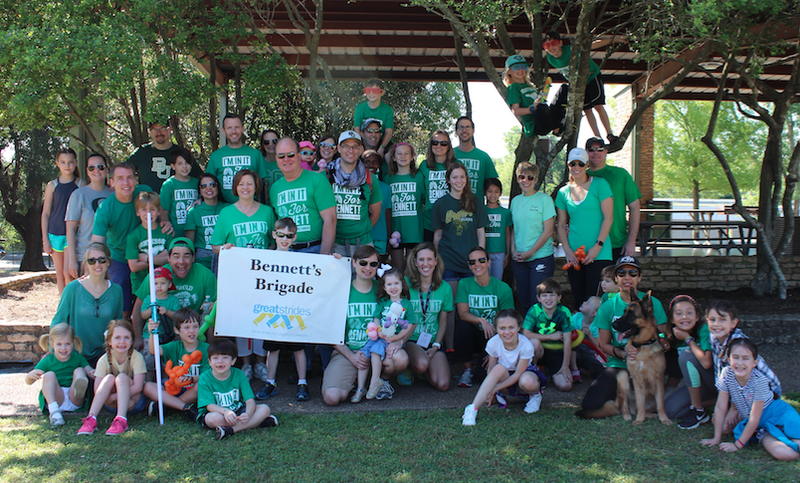 Bennett's Brigade is full of people who show their love in a variety of ways. If you are one of those people who gave in a meaningful way, thank you. Look at these sweet girls who want very much to find a cure for cystic fibrosis!! It's pretty special when two people I love from two different states meet up at a CF Walk. Thank you, Cynthia, for leading the Raleigh Walk this year and thank you, Lynn, for all that you do for the CF Foundation on a daily basis. It really touched me that you walked for Bennett this year. 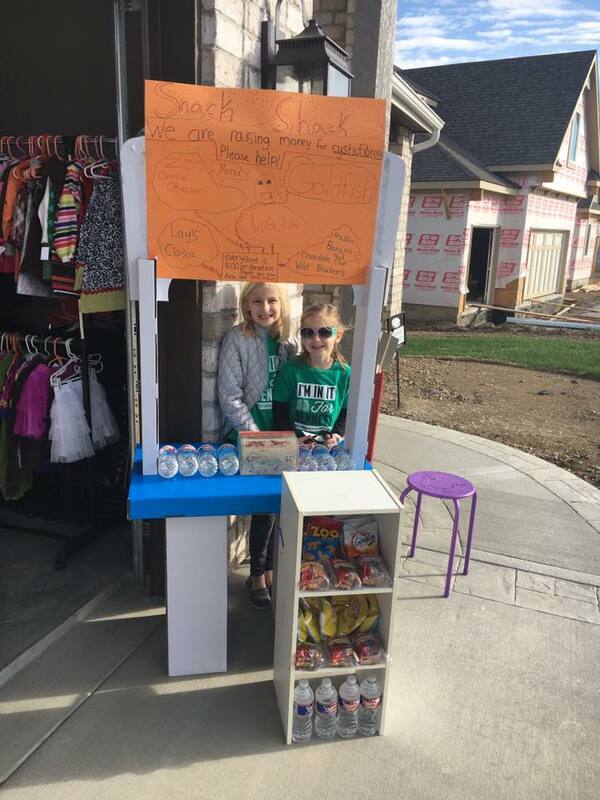 Anna and Betty, two sisters, daughters of one of my dear friend from college and who live in Kansas City, put together a snack stand to raise month for Bennett this year. Thank you girls!! One of my biggest fears every year during this time is that I won't remember to thank someone or I won't have the ability to acknowledge to them how much they mean to me. Please know how much my heart bleeds with gratitude for the ways people love our son and our family. 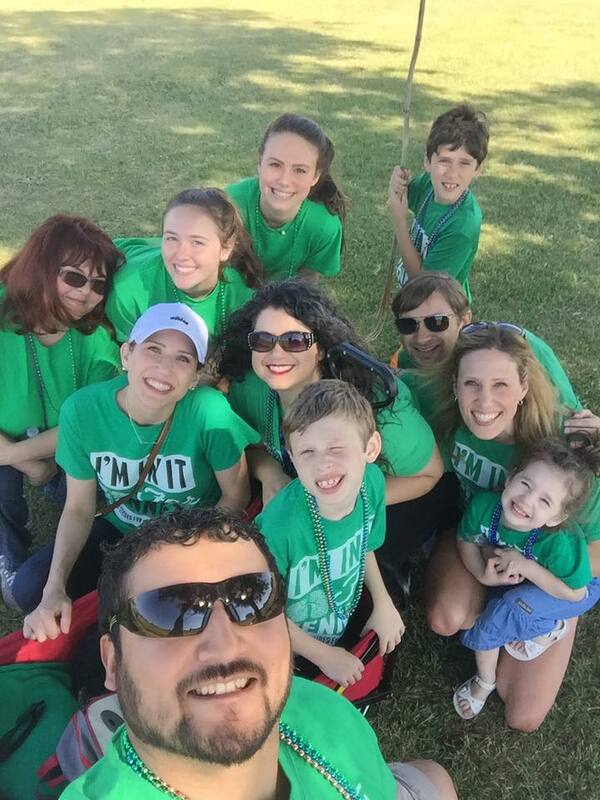 Kevin, our favorite DJ, who moved a while back made sure to come out to Bennett's Walk this year. Muchas gracias to all who are a part of Bennett's Brigade far and near!! We are immensely blessed to have you in our lives! !